You save $25.05 Over 56% saving! 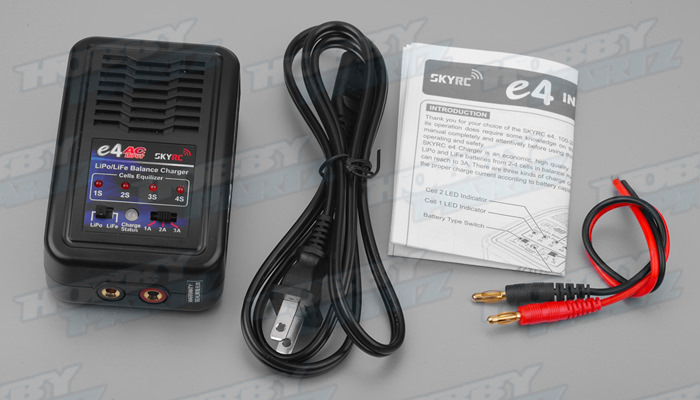 SKYRC e4 Charger is an economic, high quality 100-240V AC balance charger. 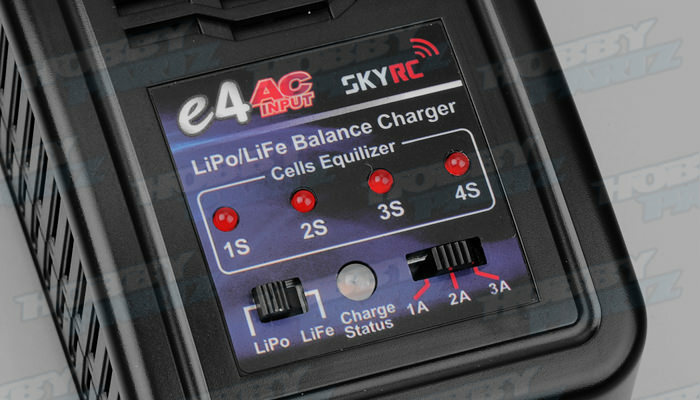 Designed for charging LiPo and LiFe batteries from 2-4 cells in balance mode. 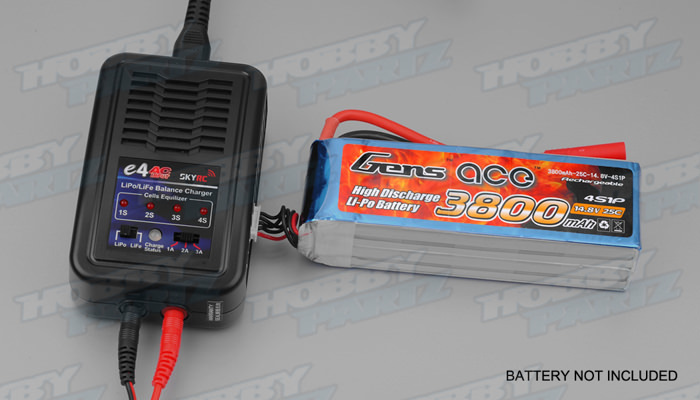 The circuit power is 20W and max charge current can reach up to 3A. There are three settings of charge current 1A/2A/3A that can be selected. You could select the proper charge current according to your battery?s capacity. 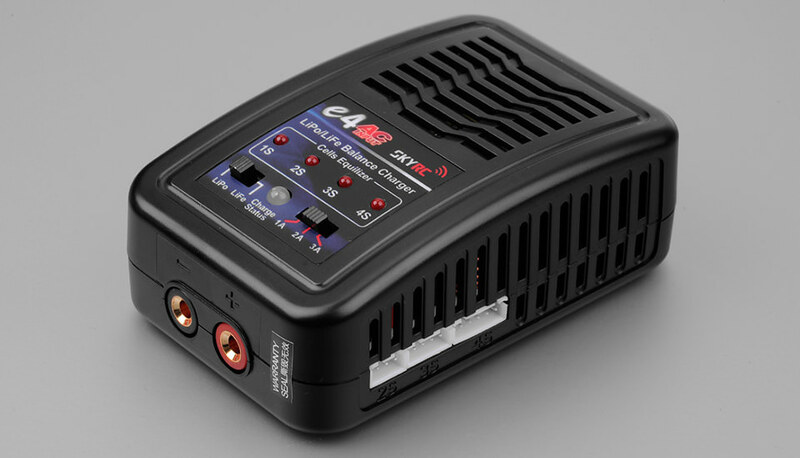 There is one LED indicating the charge status (ready to charge/charge in CC mode/charge in CV/ mode/charge finish) and four LEDs indicating each battery cell status (charge/discharge). 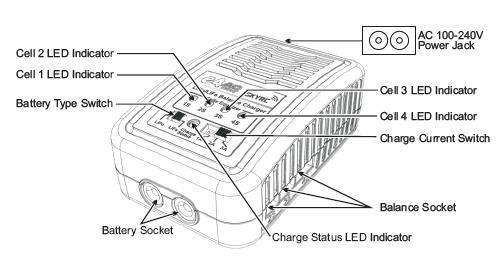 The operation of the charger is also very simple. There are two toggle switches in the charger which can be used to selected battery type and charge current. 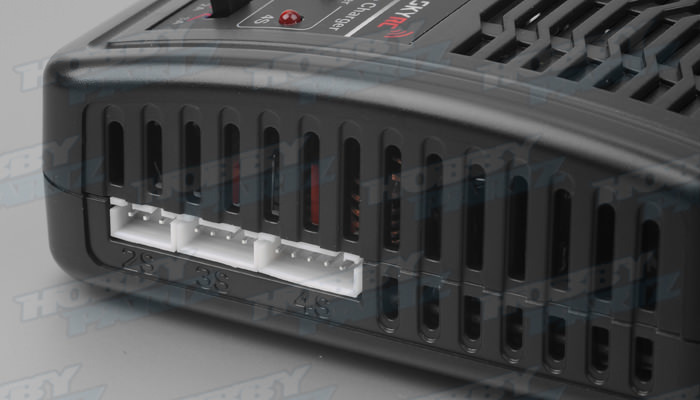 After you power on the charger, select the battery type and charge current, connect the battery and charger with the balance board, then charger will start working. 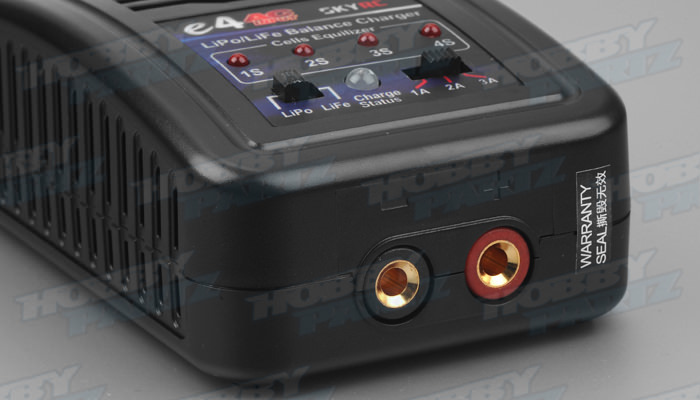 AC Input 100-240V: you could use this charger all over the world and don? need to worry about any damage caused by improper input voltage. The charger is ready to charge. The charger is charging in CC mode. The charger is charging in CV mode.